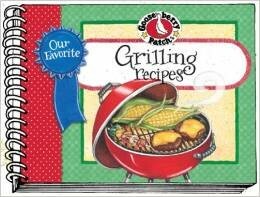 Over 60 recipes to get you in the groove for summer grilling from Gooseberry Patch. These winners will make your dinners fabulous! Cook to impress with ingredients that are almost always found in a well stocked kitchen. Try recipes like a Jamaican Chicken Marinade, Roasting Ears with Spicy Butter, or yummy pineapple sundaes! With recipes for sauces, chops, chicken, burgers, kabobs and even pizza, you can’t go wrong with this collection of recipes! If that wasn’t a mouthful, this collection of recipes is! Hometown American recipes are preserved once again in the book from Quail Ridge. With a handy index, you can search by category, for example, if you are thinking of a broccoli dish, turn to the b section and you have 9 broccoli recipes! From candied orange peel to watermelon rind pickles, and stuffed Carolina Quail to Exotic Symphonic Chicken Salad. This book has something for everyone, and a great way to use fresh fruits and veggies!